DESCRIPTION: Golden Oaks is a large and bright family home, which offers four double, en suite bedrooms and spacious living quarters over three floors. 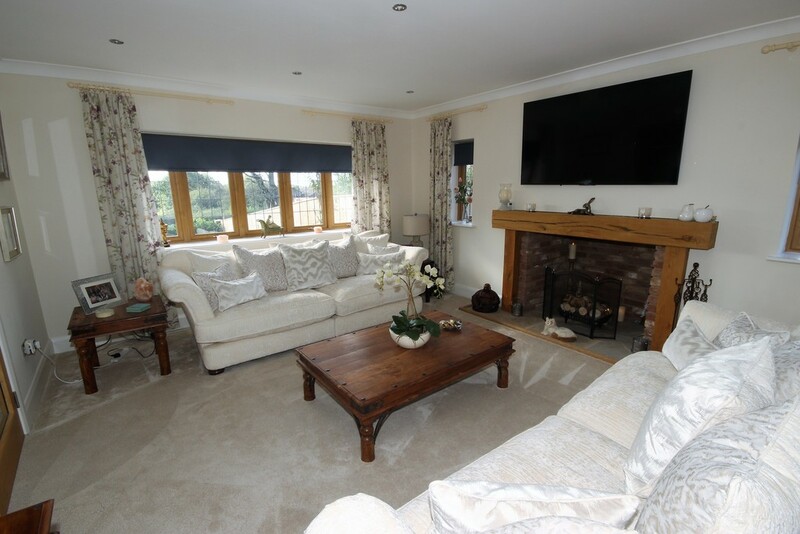 The property is fitted and furnished in a modern style and to a high standard. 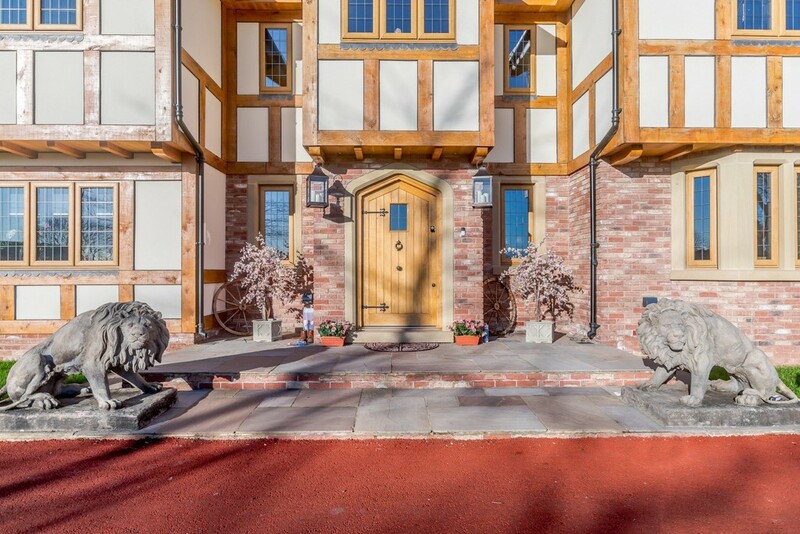 Upon entering the property, there is a spacious and light entrance hall connecting all main areas of the ground floor complete with Sonos sound system, with a large wooden staircase leading up to the living spaces. Two generous and well-lit reception rooms are found either side of the entrance hall, one with a feature fireplace. The large tiled kitchen is fitted with modern appliances including with Sonos sound system, and hosts plentiful storage and surface spaces. There is a breakfast bar for more informal meals, a dining area, and a cosy living space with picturesque views over the garden. French doors lead out onto the back garden from the kitchen, extending the living space outdoors. A utility and boiler room provide further storage solutions. 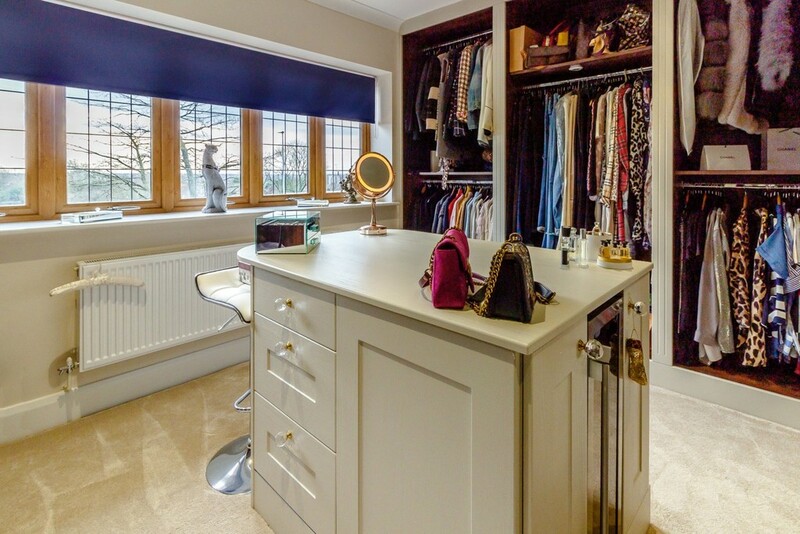 A cloakroom completes the ground floor. 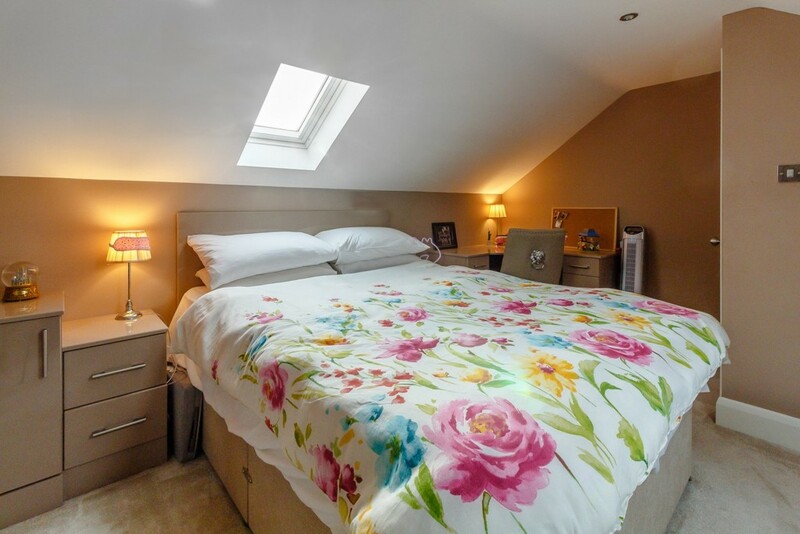 The bedrooms are arranged over the first floor and the loft space of the second floor. 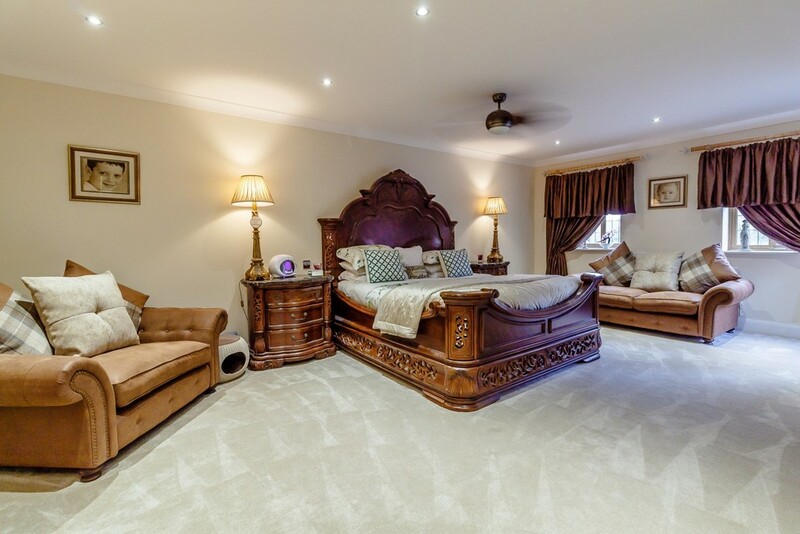 The carpeted master bedroom is a spacious and well-lit room, which benefits from a large modern en suite with separate shower and bath and a double sink, as well as a large walk-in dressing room. 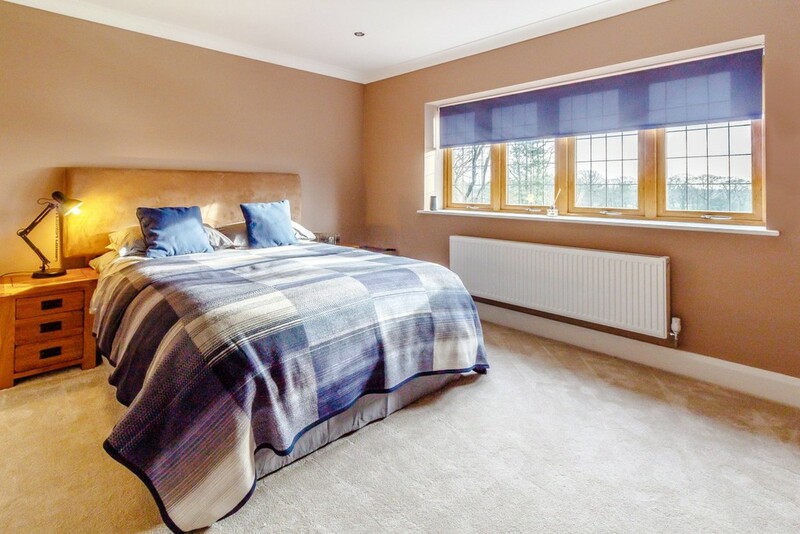 The master bedroom has access to a balcony overlooking the rear garden, which is shared with the second bedroom. 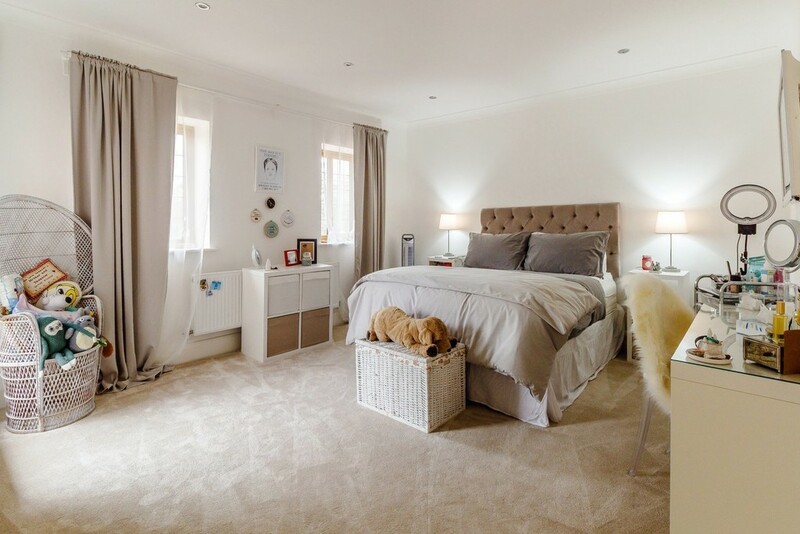 Two further double bedrooms, with three piece shower en suites and walk-in wardrobes, complete the first floor. 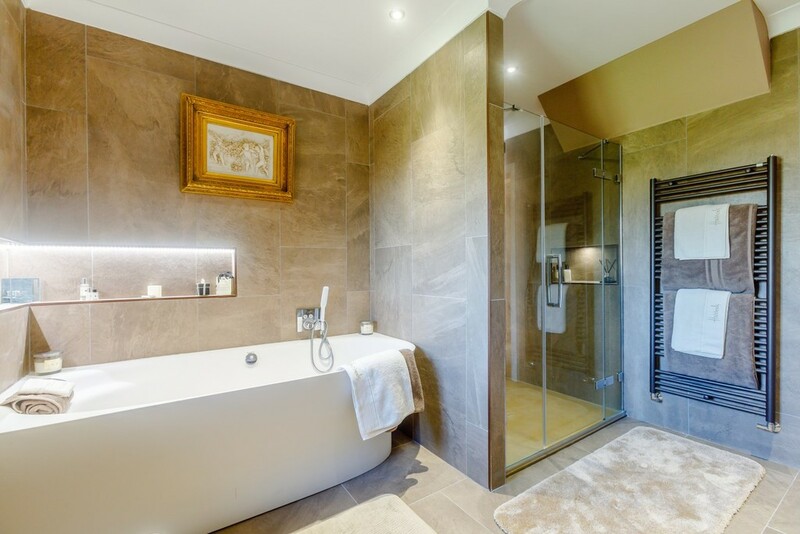 On the second floor, a fourth spacious double bedroom with vaulted ceiling is well served by a large en suite bathroom with a bath. EPC Rating B. OUTSIDE: Golden Oaks is an impressive property, set back from the road and accessed via a private driveway, with a gated section for parking. The driveway lies alongside a well-maintained lawn which sweeps across the front of the house, with manicured shrubbery decoration. To the rear, the property boasts an extensive garden. A large well-maintained lawn backs onto The Marriott Worsley Park Golf Course, giving the garden picturesque views. 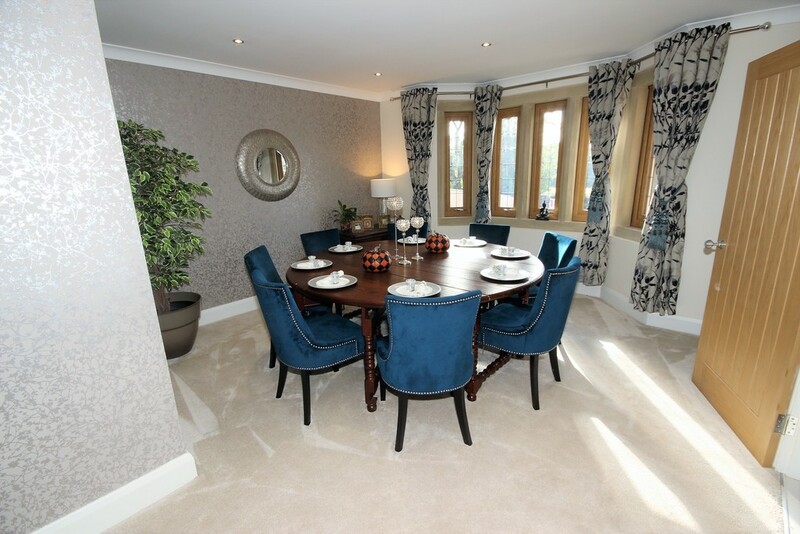 There is also a paved seating area to the rear of the property, ideal for dining al fresco and entertaining in summer. 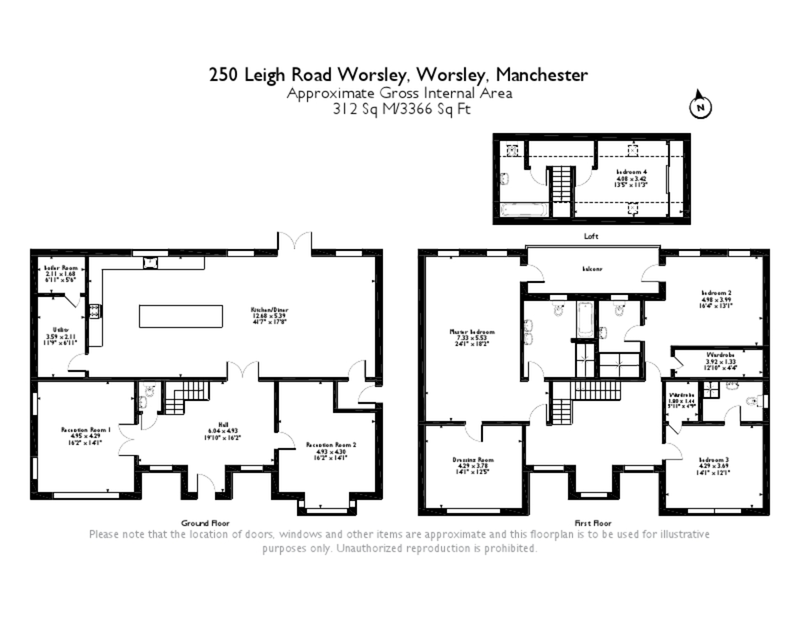 LOCATION: The property is situated in this most prestigious location close to the heart of Historical Worsley Village. This premier residential road is known locally as "Millionaires Row", with the Marriot Hotel, country Club and Golf Course nearby. 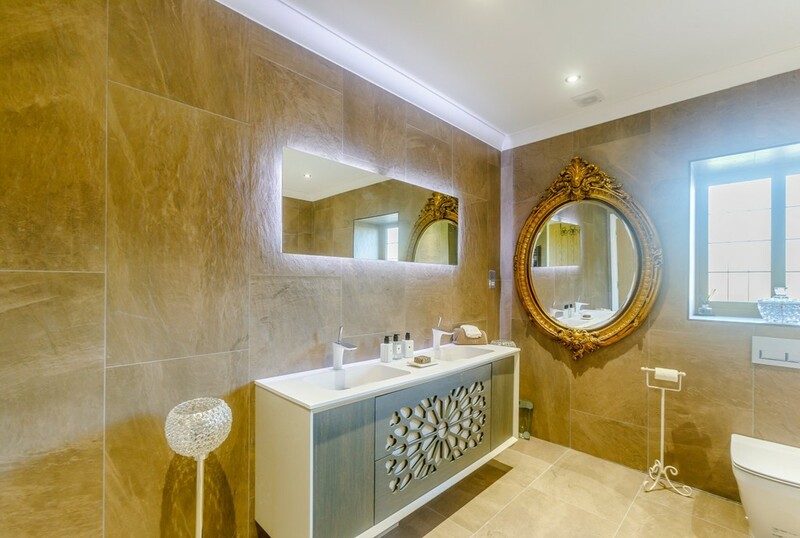 Local amenities include restaurants, pubs and shops with easy access to the M60, Trafford Centre and Manchester city centre.